"Guess what? I’m wearing trainers to the office! I know, I said that was never going to happen, but, after seeing how good people look, I decided to give them a go. We make these office-friendly styles that are perfect to pair with tailored trousers, chinos, and even a suit (on a good day). I’m not a hypocrite, I’m adaptable." 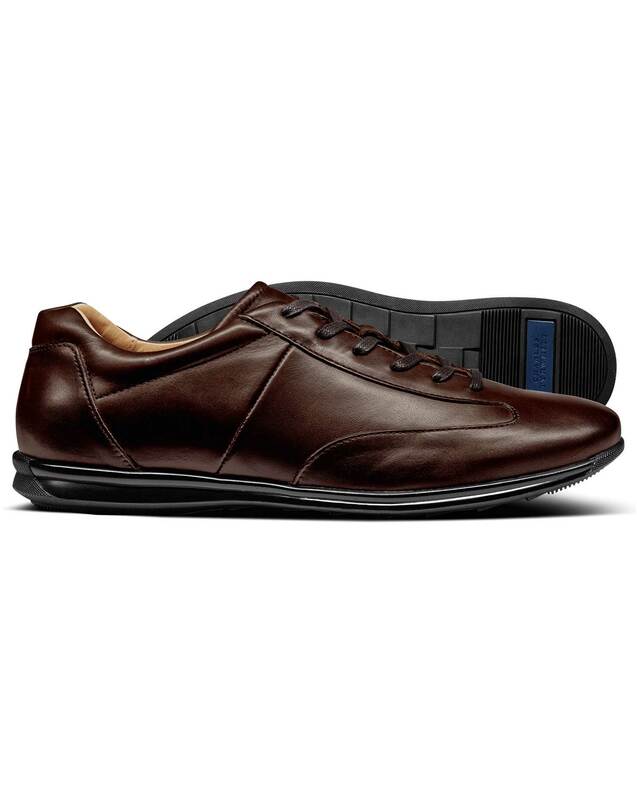 "Lightweight leather trainers with flexible textured sole for improved grip. They’re office friendly, even if you choose to team them with tailoring." Response from Charles Tyrwhitt: I'm sorry to hear your disappointment with the product. I can see you have taken the opportunity to return these shoes to us and your refund has been processed. Good looking pair of shoes; but they omit a strange smell which is very annoying.